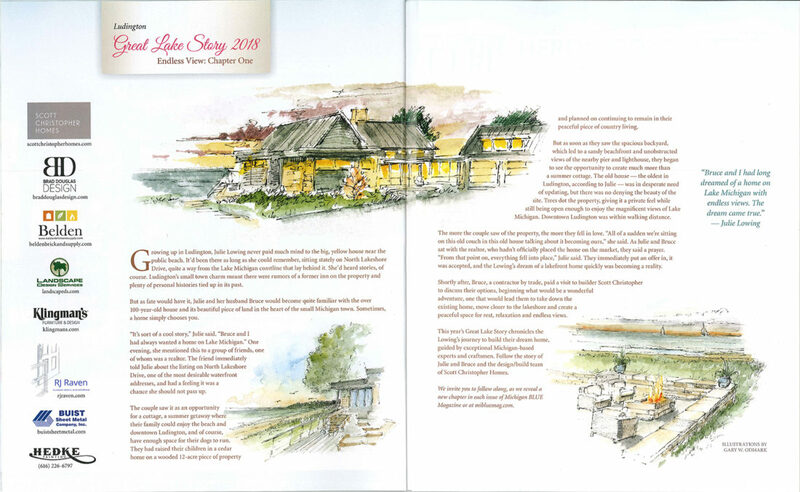 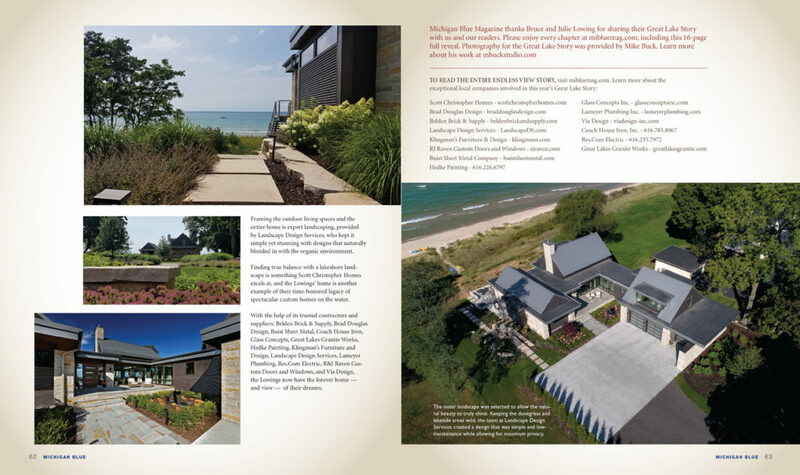 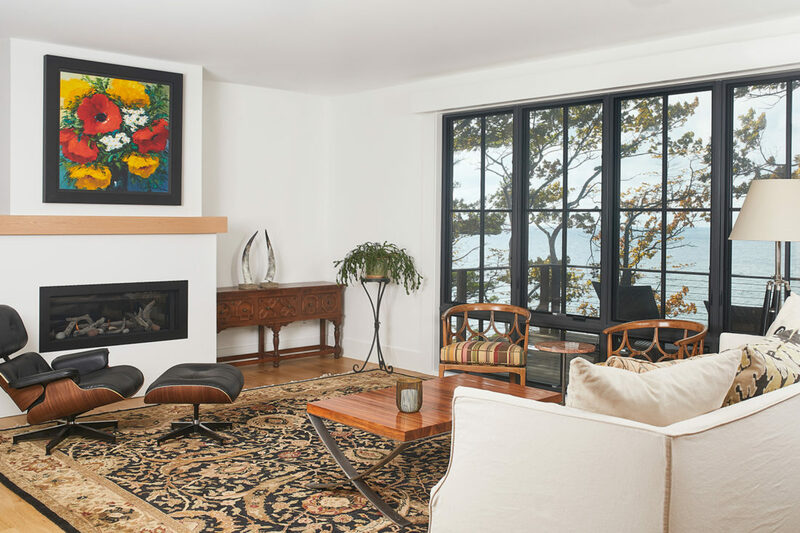 In the winter issue of Michigan Blue Magazine, the final chapter of Endless View’s ‘Great Lake Story’ unfolds with a full pictorial tour of the gorgeous lakefront home. 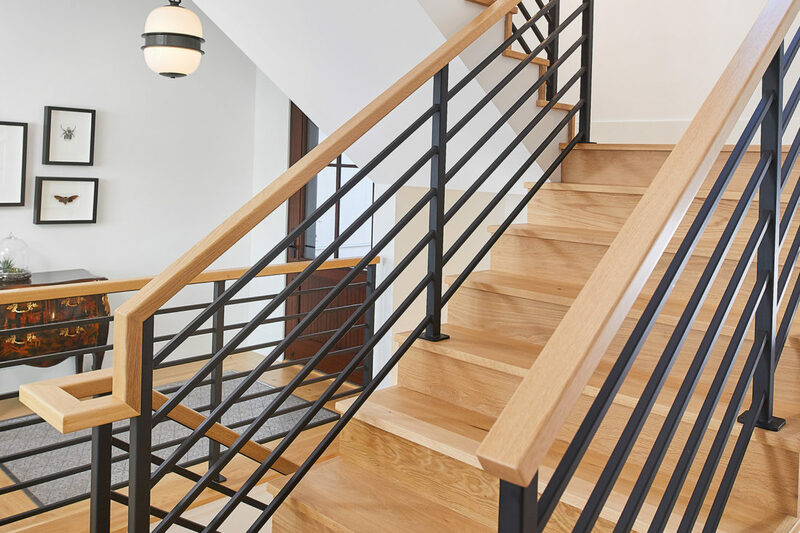 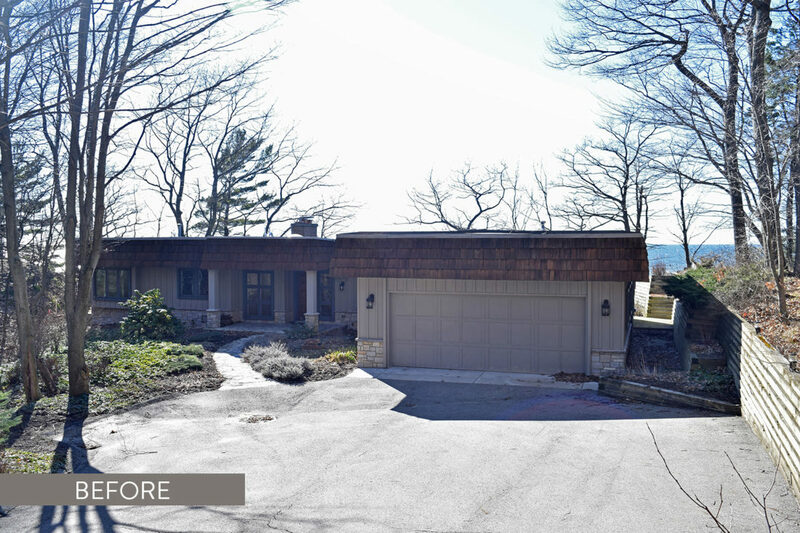 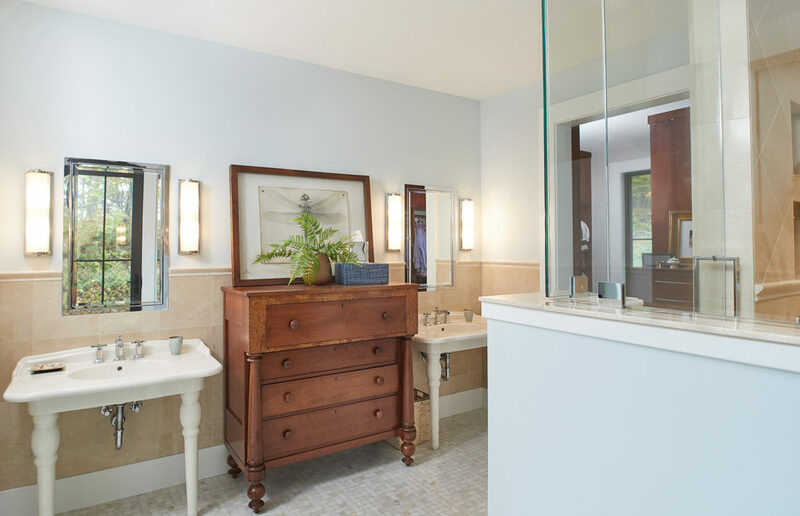 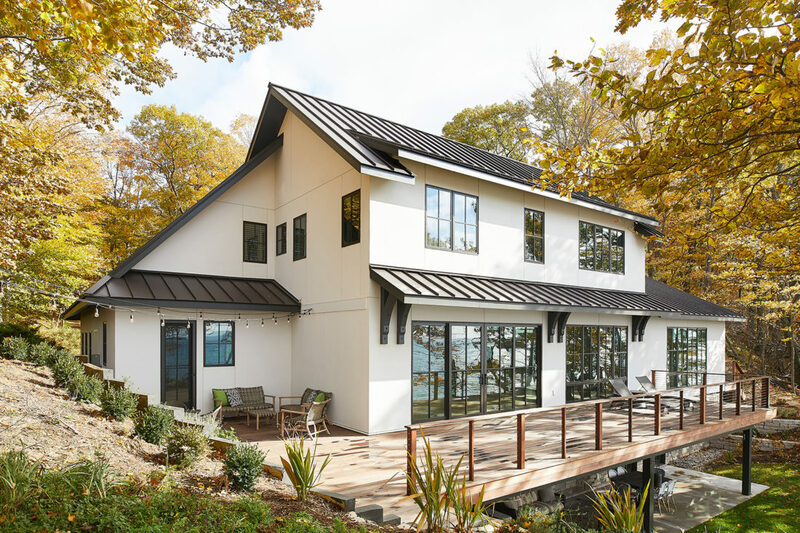 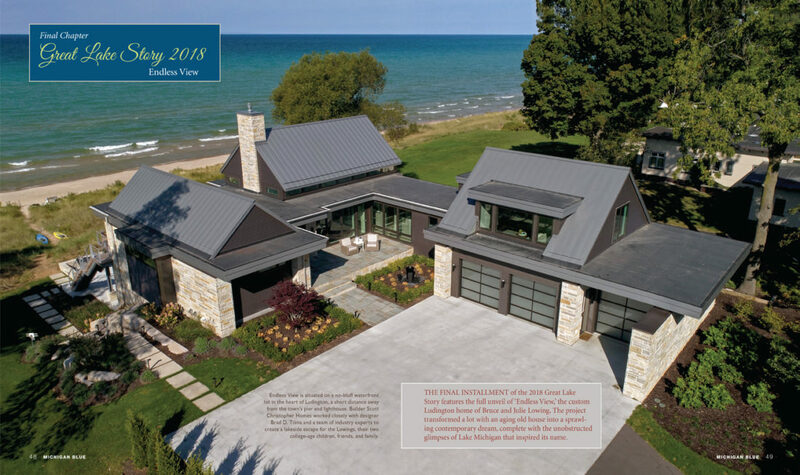 From the neutral textures of the stone on the home’s exterior to the sophisticated palette and open layout of the interior spaces, this home exemplifies lakefront living at its finest. 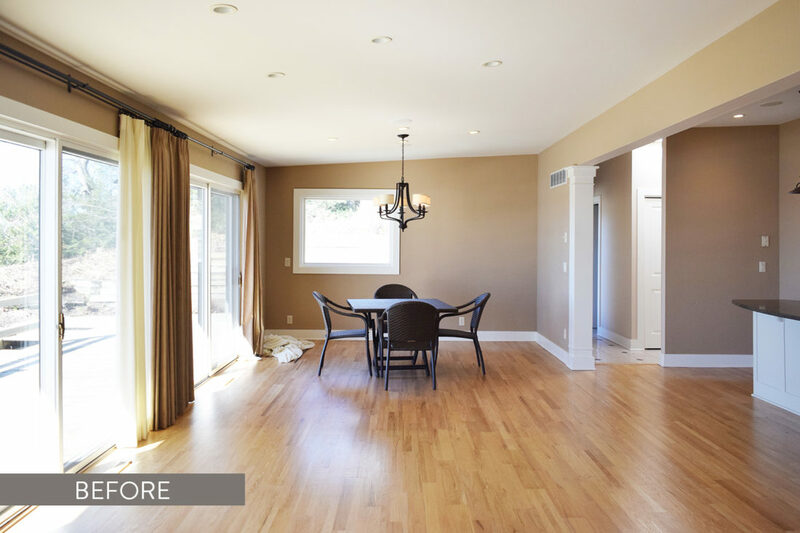 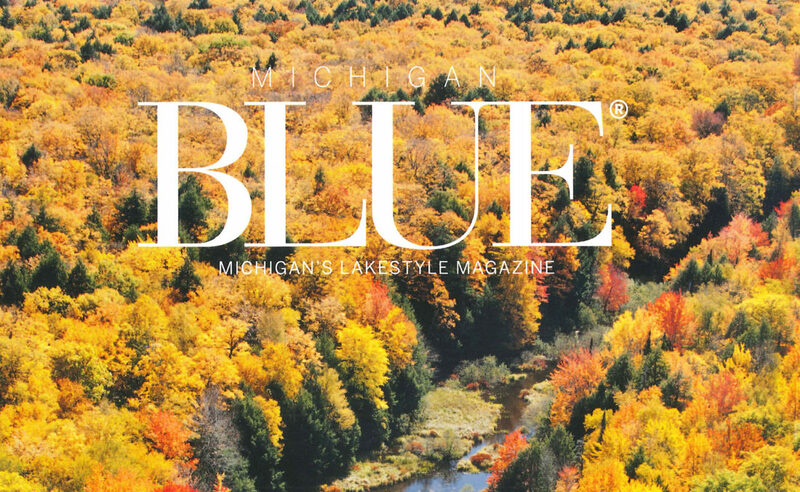 A special thank you to our AMAZING clients, who graciously opened up their home to the readers of Blue Magazine. 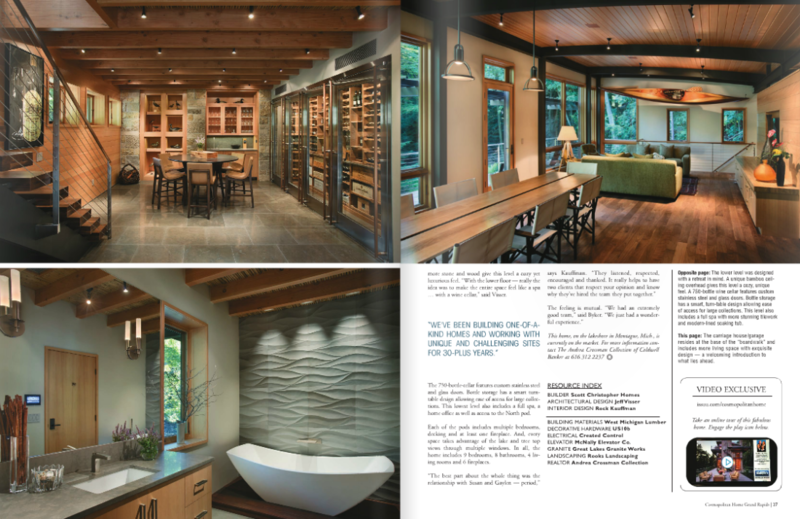 Thank you to the entire team that helped bring this home to life. 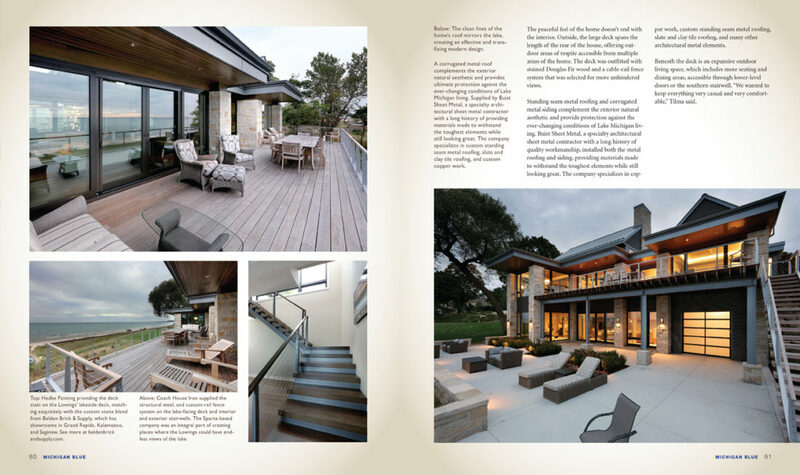 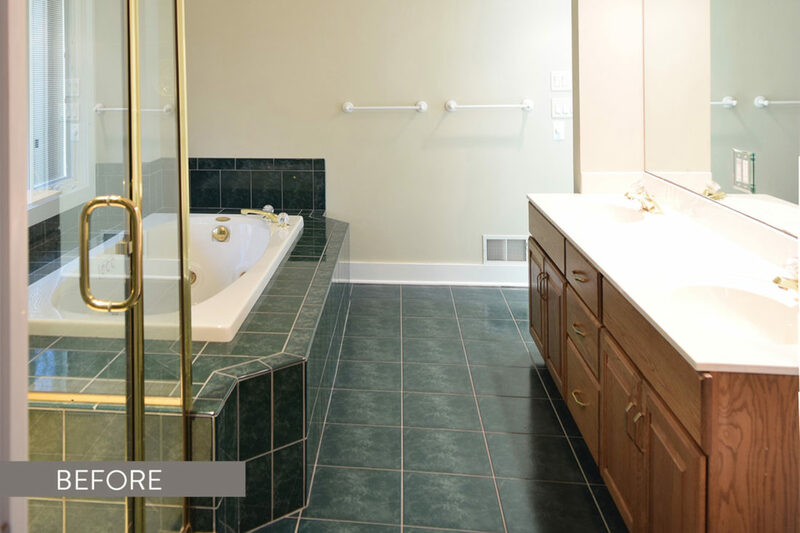 It was an honor to be a part of such a spectacular project and we hope this home is enjoyed for years and years to come! 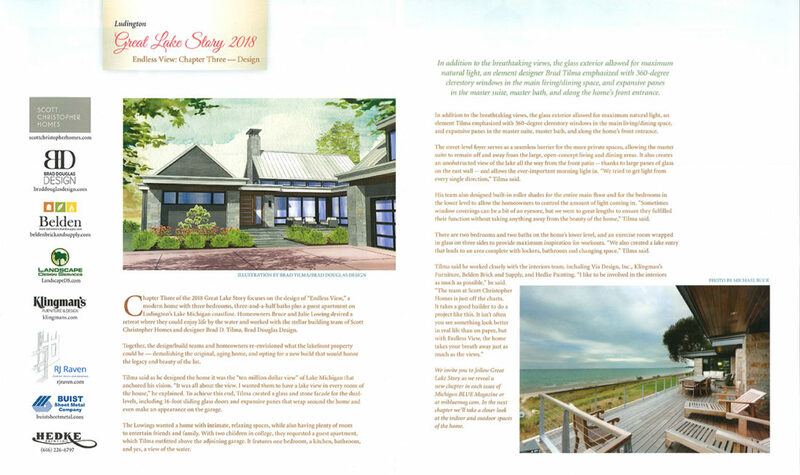 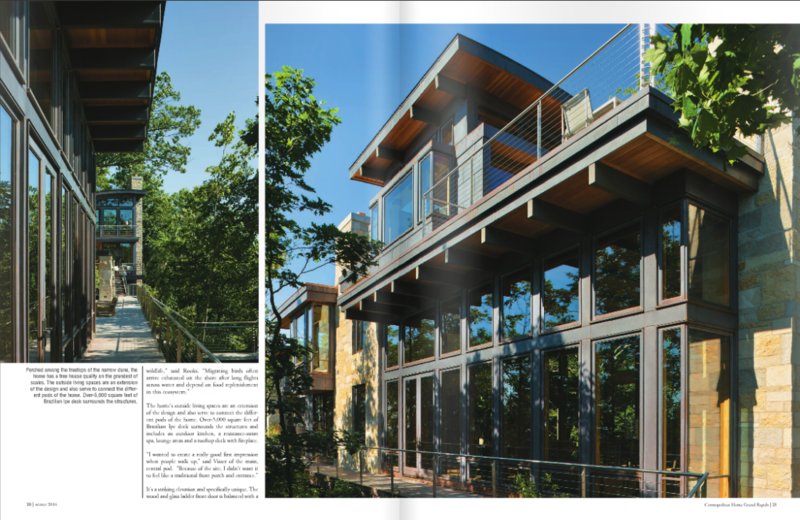 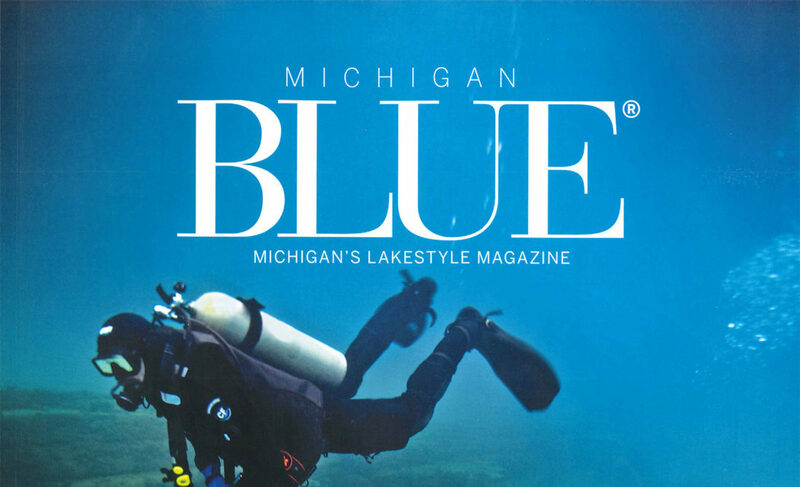 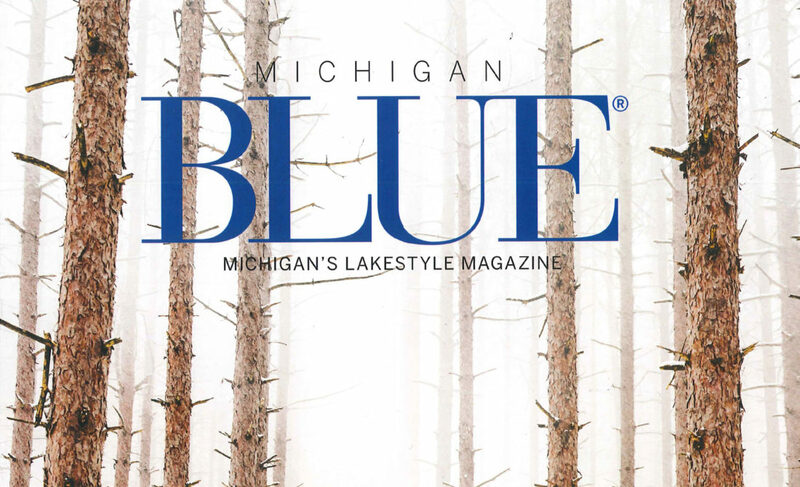 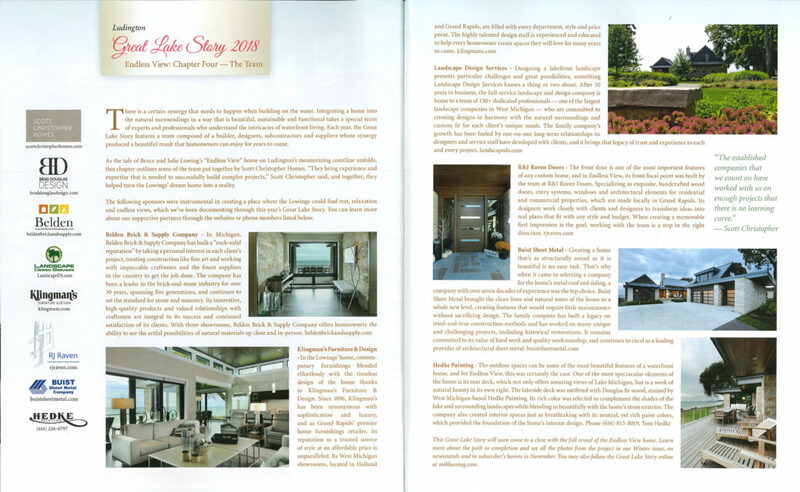 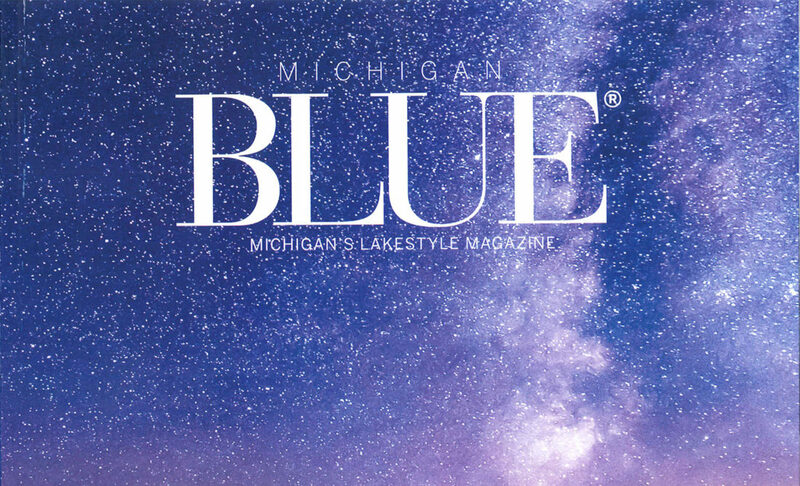 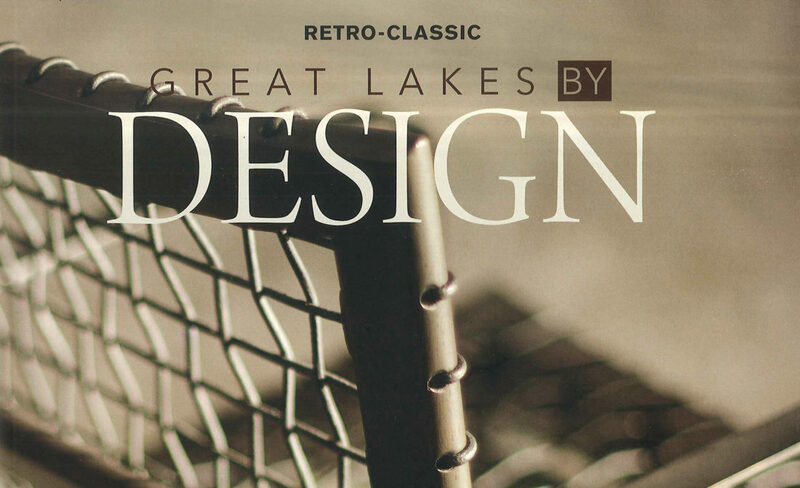 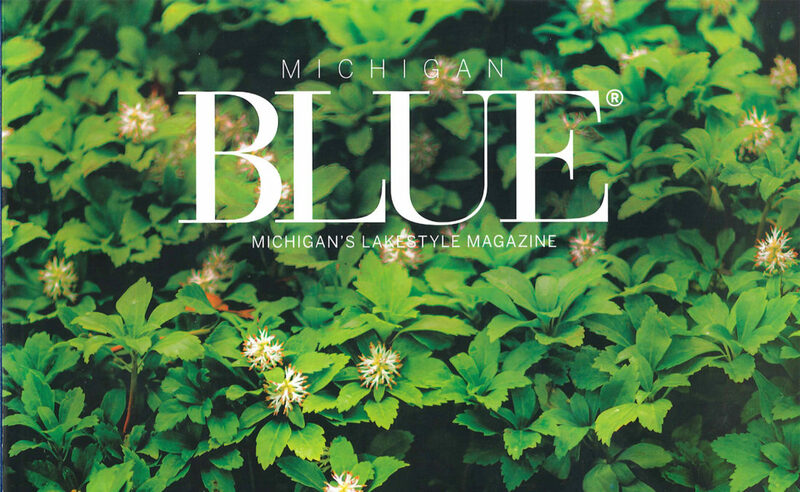 Endless View’s ‘Great Lake Story’ continues in Michigan Blue Magazine‘s Fall issue. 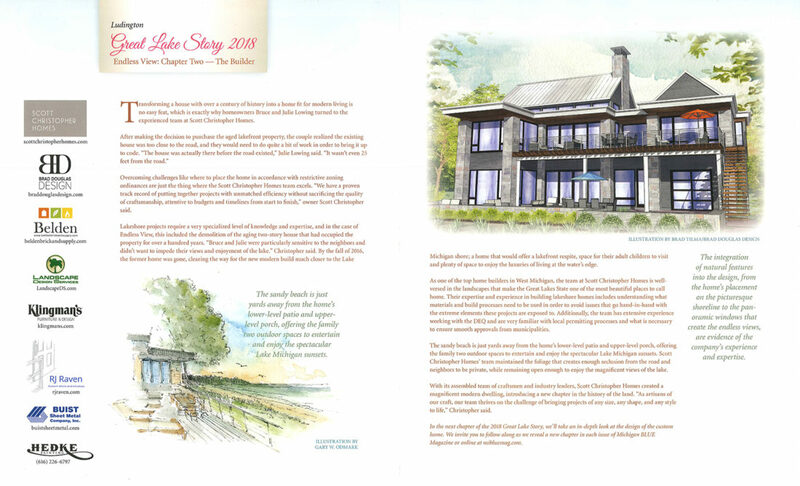 In this fourth chapter, you will learn about some of the team members who helped bring this beautiful abode to life. 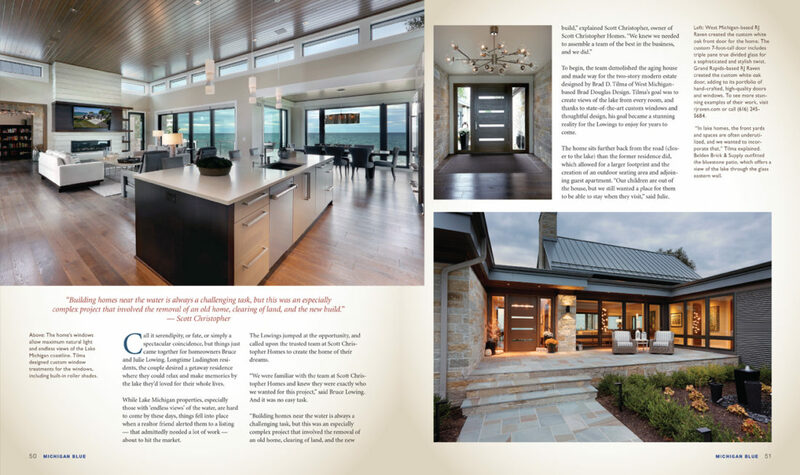 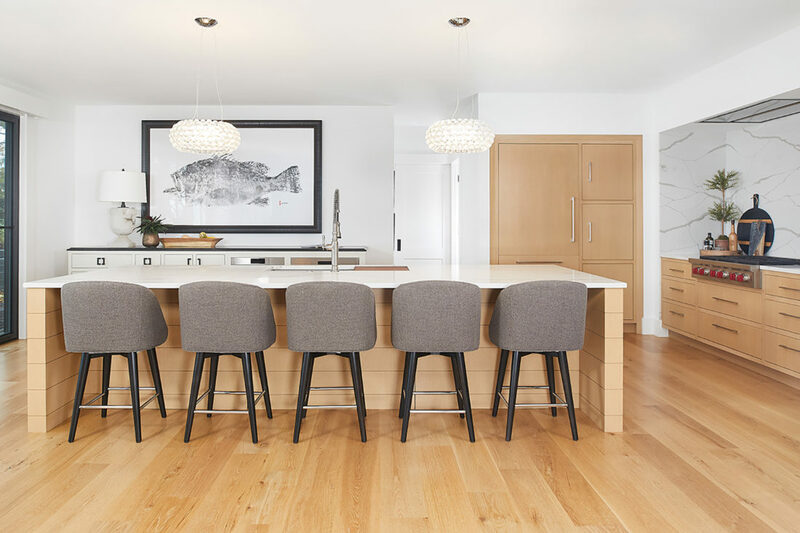 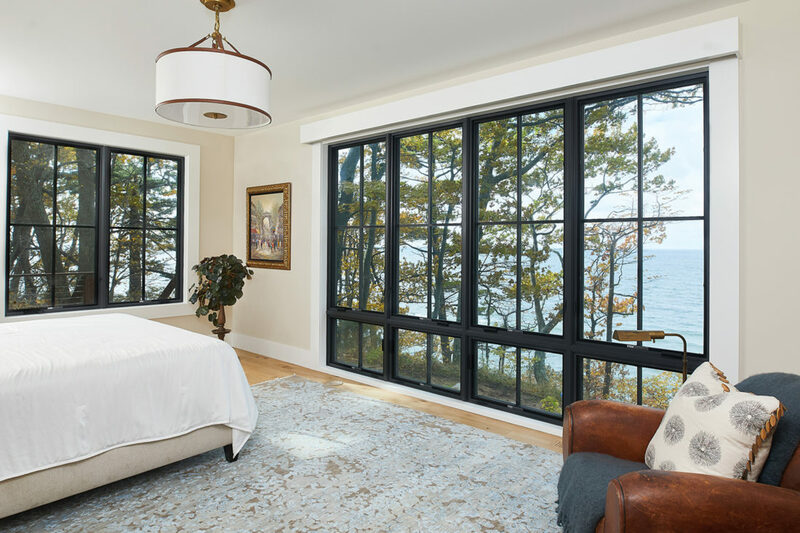 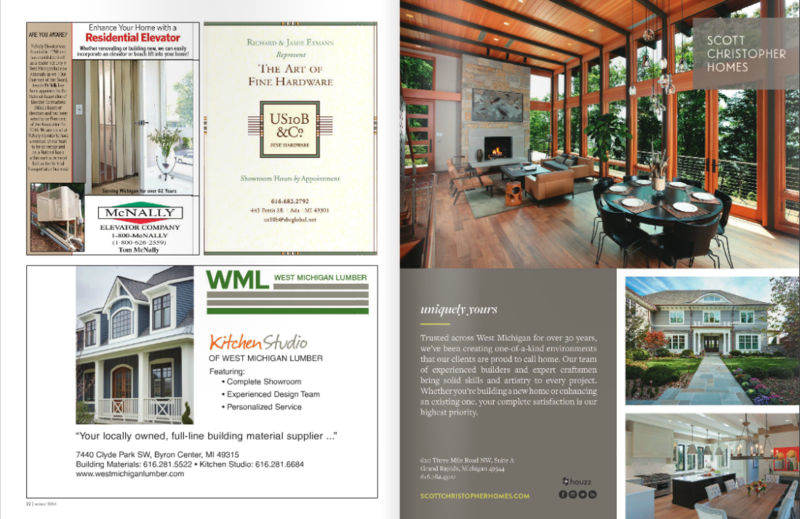 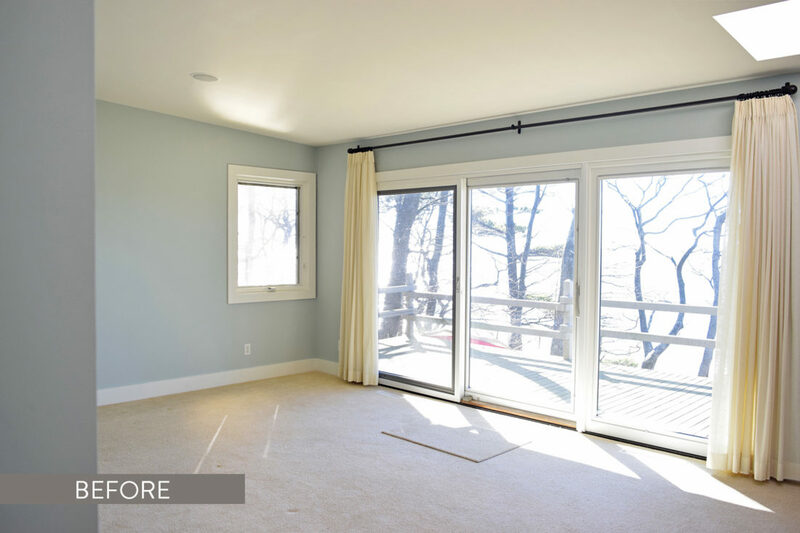 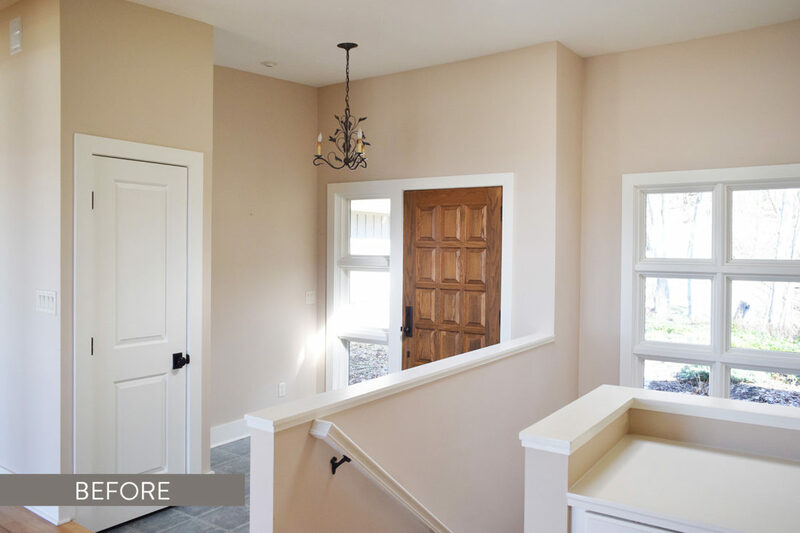 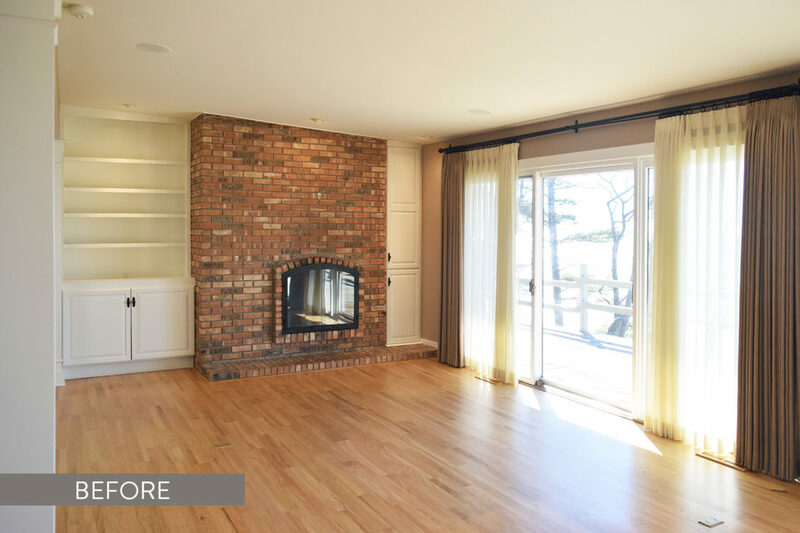 Our Contemporary Tranquility project was featured in Boston Magazine in an article all about the way the interactive experience LaCantina Doors is providing their customers is taking the guess work out of choosing the right doors for your home. 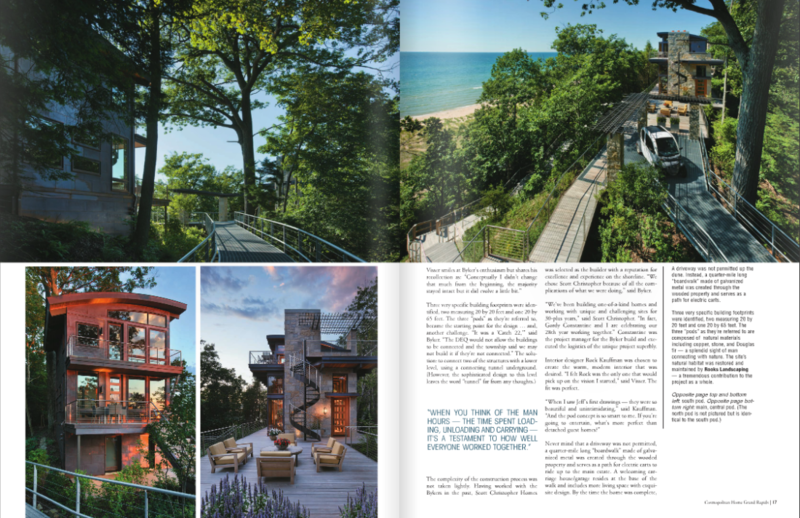 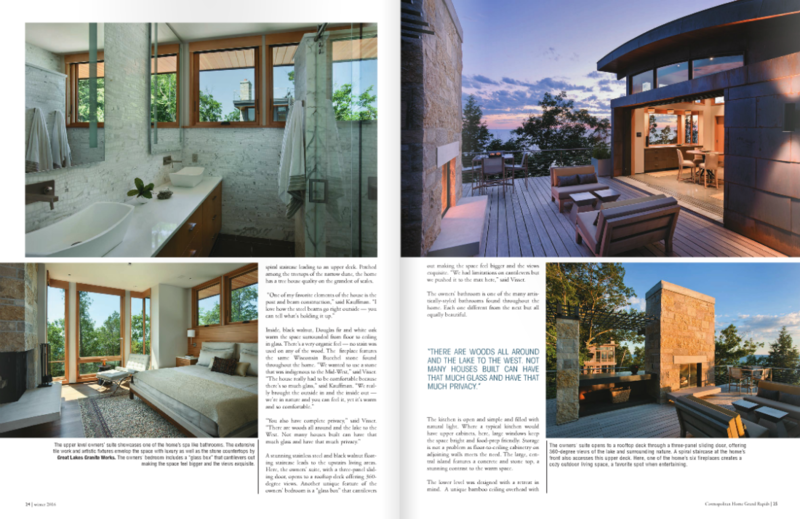 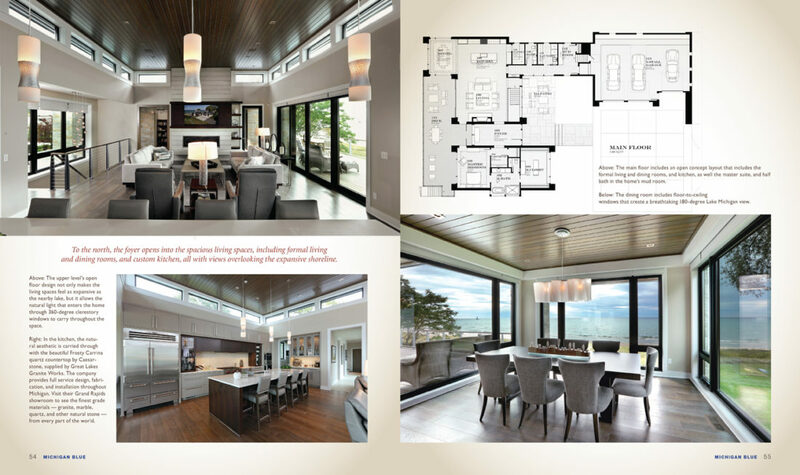 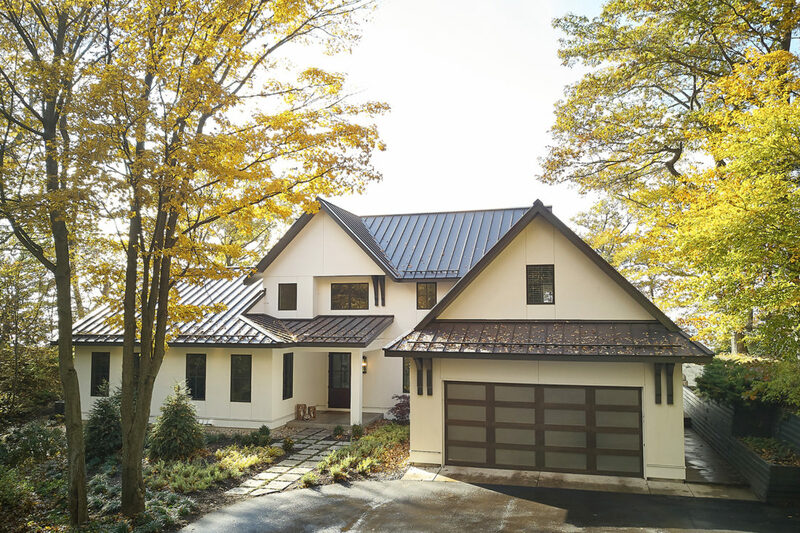 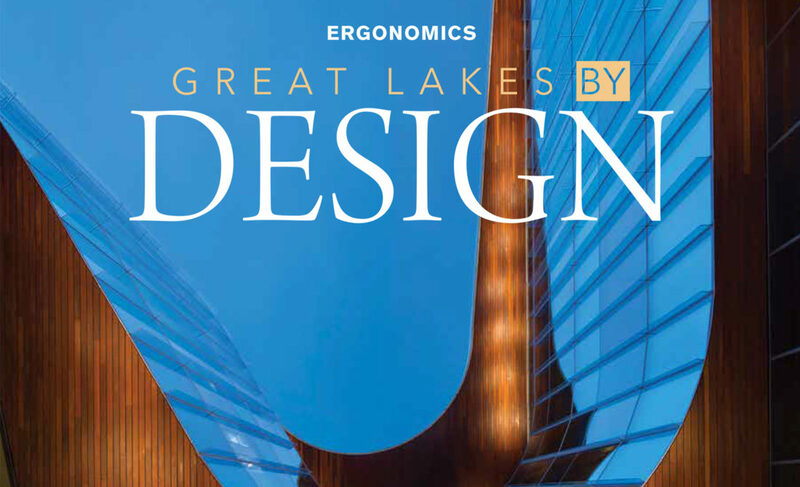 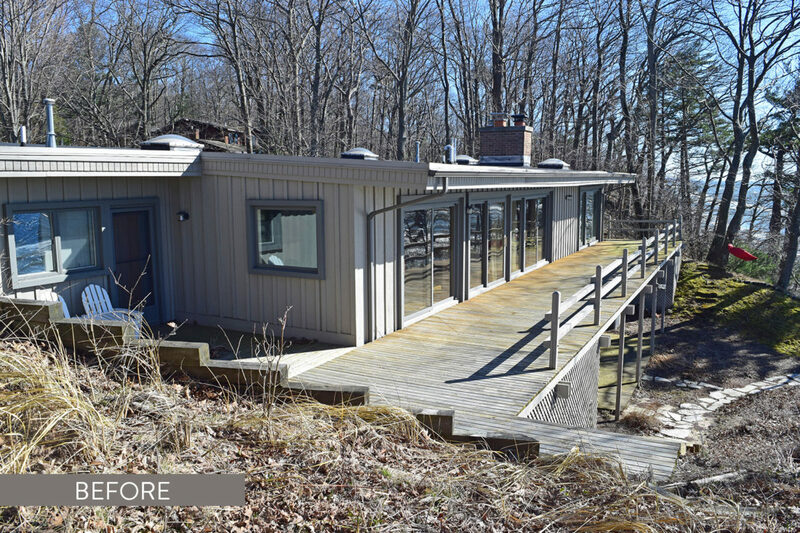 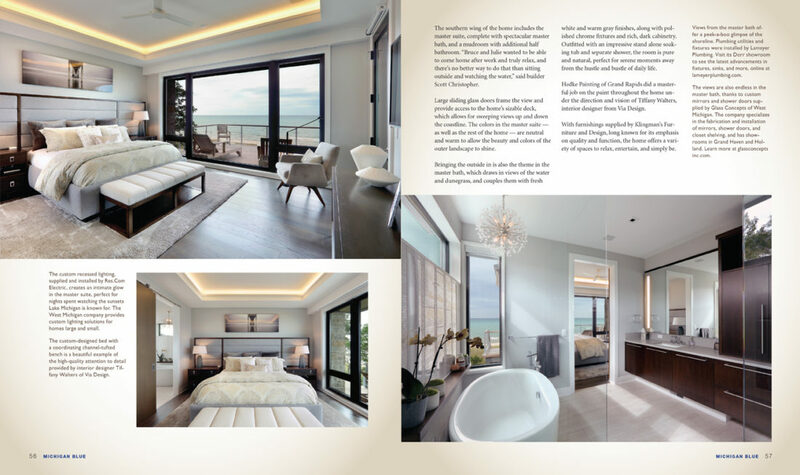 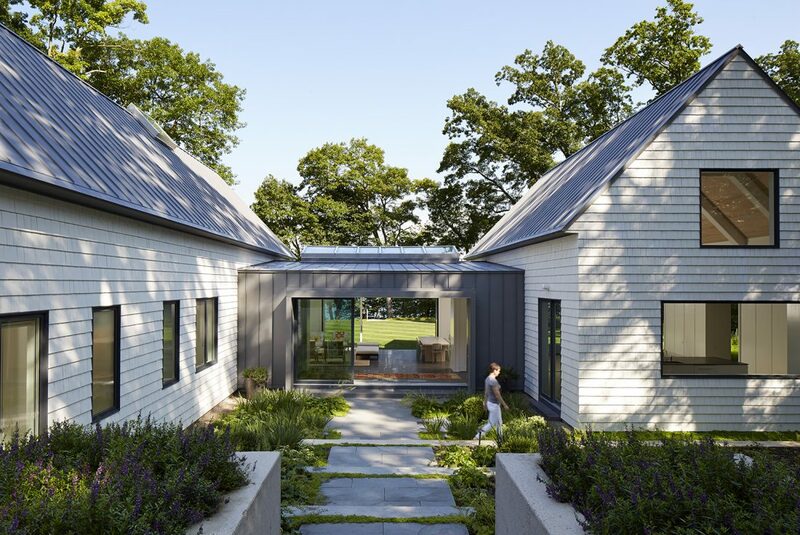 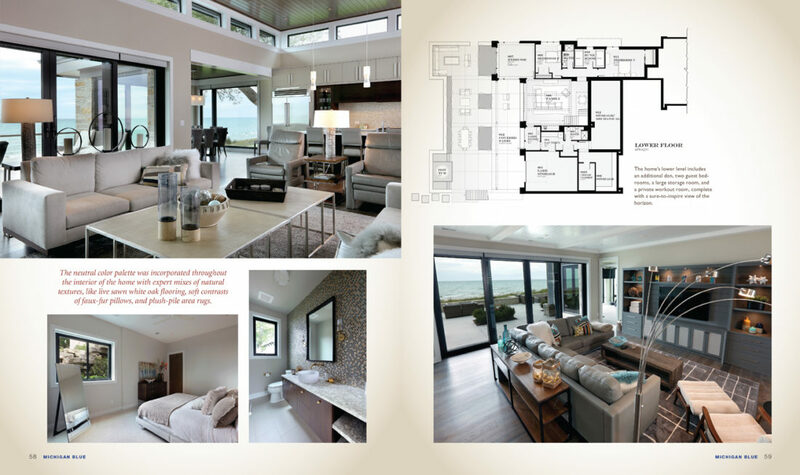 Read about the design of our Contemporary Tranquility project in the May 2018 issue of Great Lakes By Design. 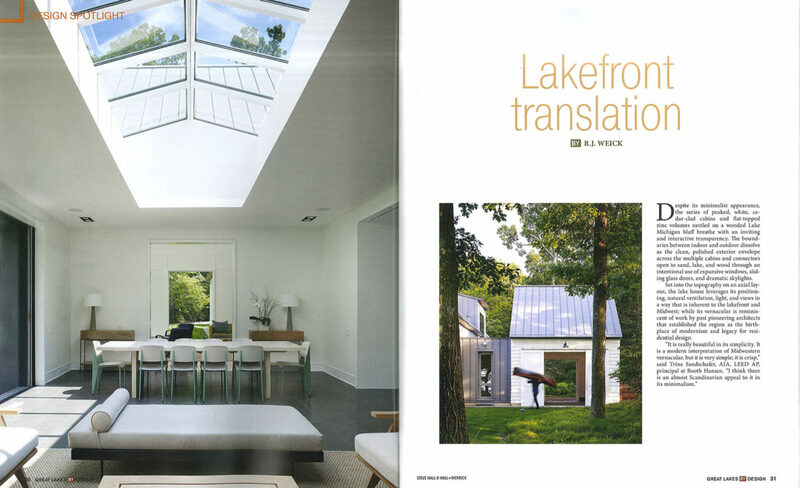 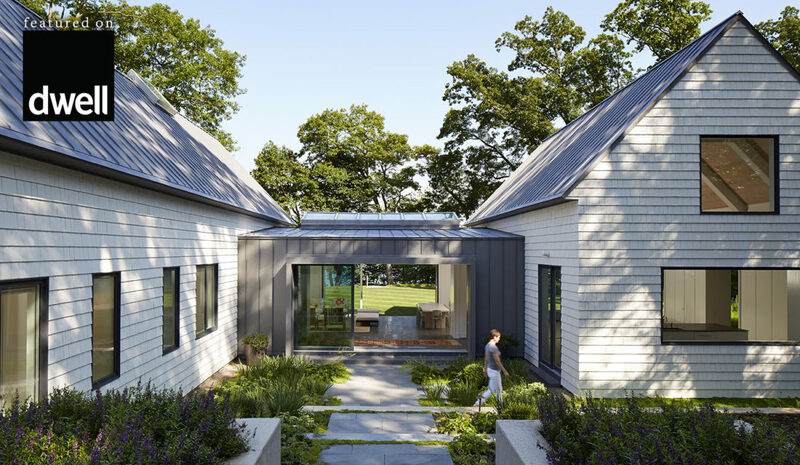 We are thrilled that our project, Contemporary Tranquility, was featured by Dwell Magazine in an article titled, “Cabins and Connectors Form a Family’s Lake Michigan Retreat.” We had the pleasure of bringing the unique design of this lakefront home by our friends at Booth Hansen to life and we couldn’t be more pleased with the final result. 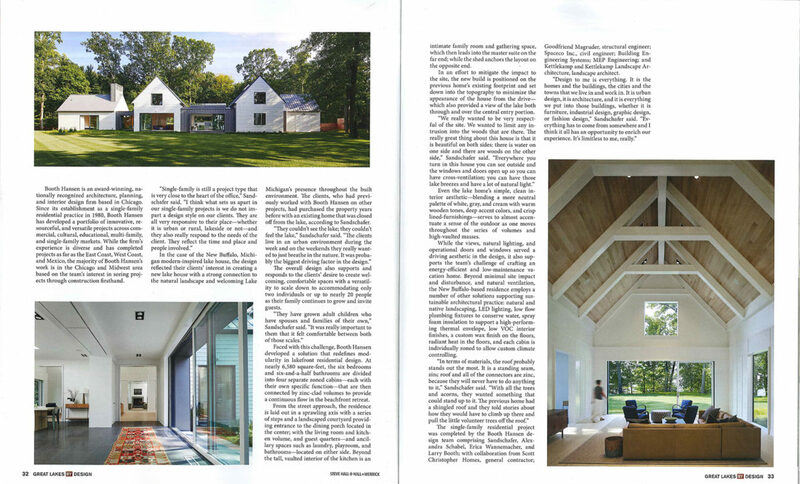 To read the full article, visit Dwell.com. 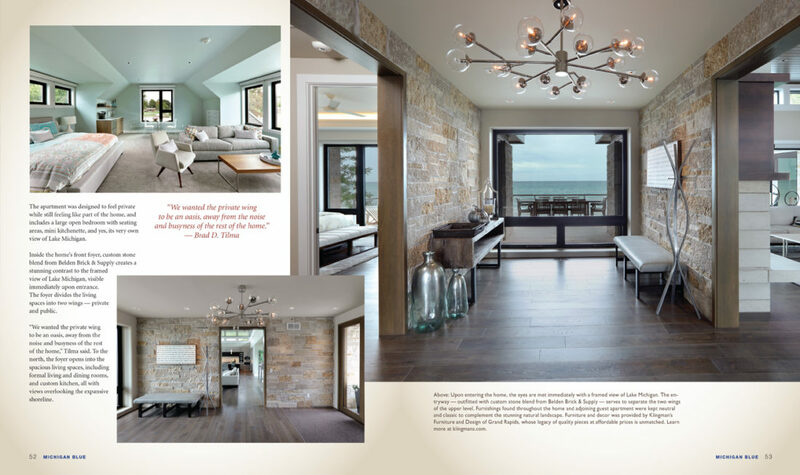 “Where there’s a will, there’s a way.” Planned for a challenging build site, our Dunes project took loads of teamwork, creativity and out-of-the-box thinking to bring this stunning retreat to life. 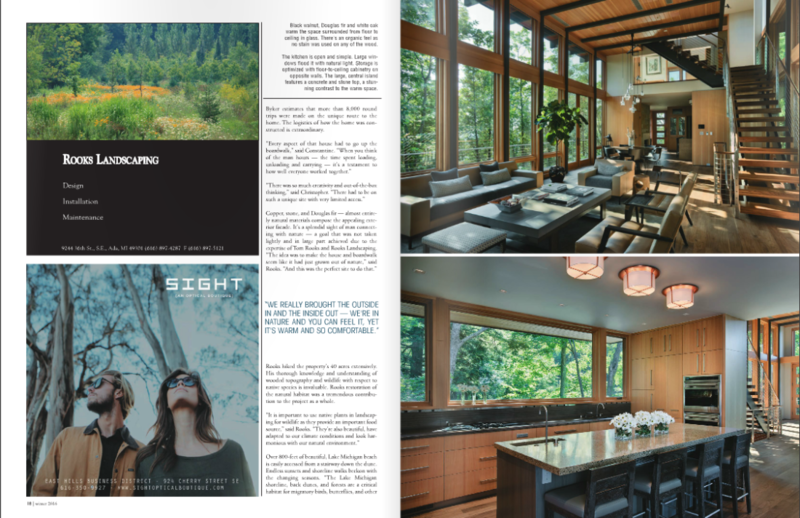 Read about the process from start to finish and take a remarkable pictorial and virtual tour of this one-of-a-kind home in the cover story of Cosmopolitan Home Magazine’s most recent issue. 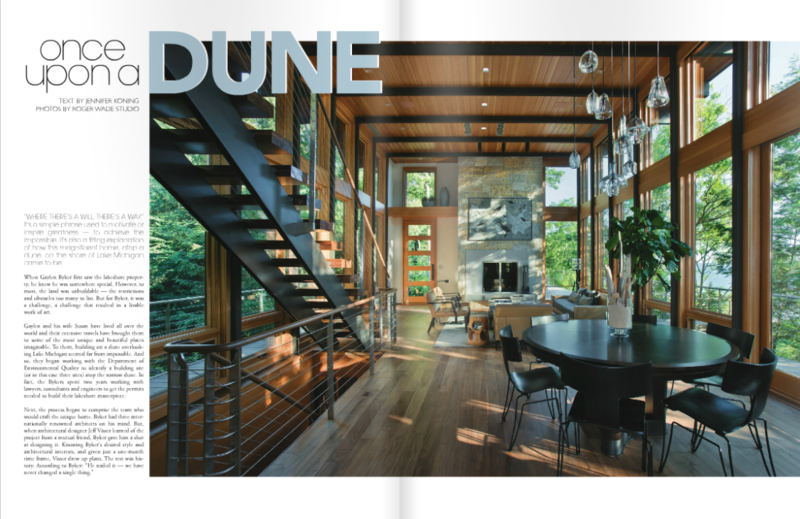 Click here to see the full issue.